Categories: Puzzles, Trivia, Word, International. 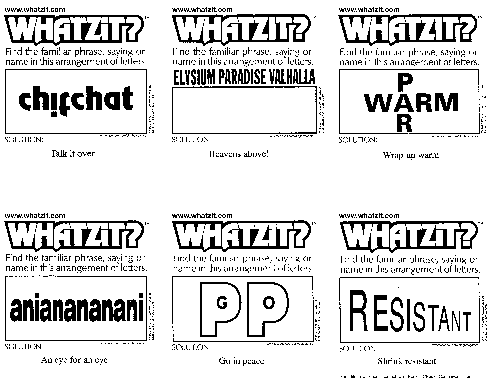 Mind-boggling, sometimes frustrating and always fun, WHATZIT? appeals to people of all ages. The zany phrase-and-word puzzles can be solved by one person or can be played with others. Either way, WHATZIT? will provide your readers with brain-teasing enjoyment. Paul Sellers is a mastermind of creative arts. Cartoonist, toy maker, puzzle developer: Sellers has a knack for creating clever brainteasers that often will leave you confused but never defeated. Paul Sellers lives in the countryside of Kent, England with his wife and their sheepdog. Meet the Cast of Whatzit?